on Highway 98 East, across from Target, between Sonic and Rama Imports. We look forward to seeing you. Please check back soon for more information and our new menu. 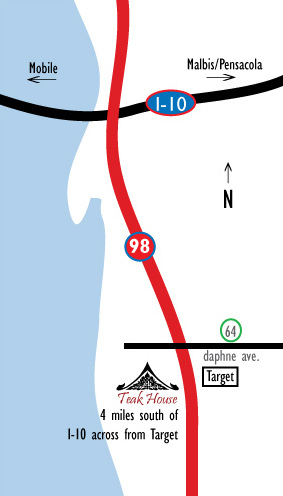 For driving directions click on the address or "directions"
Come experience the flavor of authentic Thai Cuisine. © Teak House Thai Cuisine 2008-2012. All rights reserved. Design and hosting by mmagination llc.